According to research from Nielsen, we trust people nearly twice as much as we trust companies and organizations. This is why you see so much advice and counsel out there to “humanize” your content and your social media. When doing so, you gain a built-in advantage in trust and persuasion, provided you are not a nefarious character. In fact, my friend David Horsager (one of the world’s foremost experts on trust) says that you must build trust, or your organization will die in the new economy. Personal interactions are, of course, the best way to gain trust at the individual level. Nothing beats a face-to-face smile, handshake, laugh, or beer. 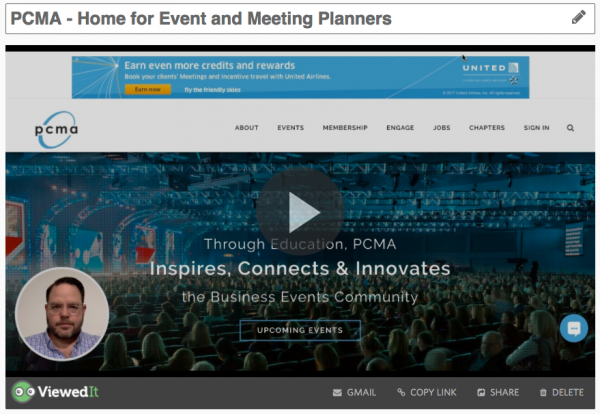 This is one of the reasons why conferences continue to flourish, even though the knowledge imparted at the event can easily be gleaned via blogs, books, podcasts, and webinars. Face-to-face can be tough to come by in this far-flung global community that’s tied together with likes, comments, shares, and email. So what’s the solution? Increasingly, it’s recorded, asynchronous one-to-one video. 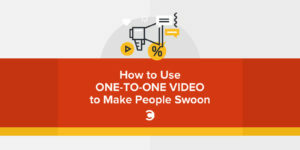 Here are three ways to use one-to-one, personal video, and examples of it being done particularly well. GoVideo (a product of one of my sponsors, Vidyard) is probably my favorite new online tool. It’s perfect for quick explainer videos that feature your talking head on top of a web page, presentation, spreadsheet, or anything else that might be on your computer screen. I use ViewedIt to comment on work from my consulting team, provide recommendations to clients, and even to deliver personalized video thank you notes to event organizers after I speak at a conference. It’s free, and requires zero technology. You just download the browser extension, hook up your camera and mic (you can use your default laptop equipment if you like), press record, and then email the video to your recipient(s). And, you get notified via email when your recipients play your video, as well as statistics about how long they watched. Amaze-balls! Here’s a video I did last week, thanking my friends at PCMA after an all-day strategy session in their offices in Chicago. You’ll see my head lower left—that’s where the video plays. One note: Videos in ViewedIt cannot be downloaded. They are, however, automatically saved in your own library. Mike Stelzner and his team at Social Media Examiner are also using this technique. In particular, they are shooting one-to-one videos to welcome each new member of their Social Media Marketing Society. They have hundreds of members, so it’s a real effort to do a personal video for each member, but the trusted, high-touch nature of this welcome makes a real impression on new participants. In this example, SME is using BombBomb to create and send the videos. The leader in video email, BombBomb is a very easy-to-use system with great stats, and can even integrate into most marketing automation and CRM systems. It’s very good for sales teams, in particular. Still one of my favorite examples, this is a case study in my book Youtility. The geniuses at eyeglass manufacturer and retailer Warby Parker use one to one video in a customer service context. We’re starting to see this more and more now, even in Instagram and Snapchat, as dashing off a quick video to answer a customer question is far more human than an in-app text response or an email. When Warby Parker started doing this, Insta and SnapChat were nothing, so they deployed these personal videos via YouTube, with a link to them in reply tweets sent to customers who had questions. They still maintain the WarbyParkerHelp channel on Youtube, and it’s a great inspiration for how to do one-to-one customer service video right. What are the chances she bought those frames? I’m going to say 100 percent. 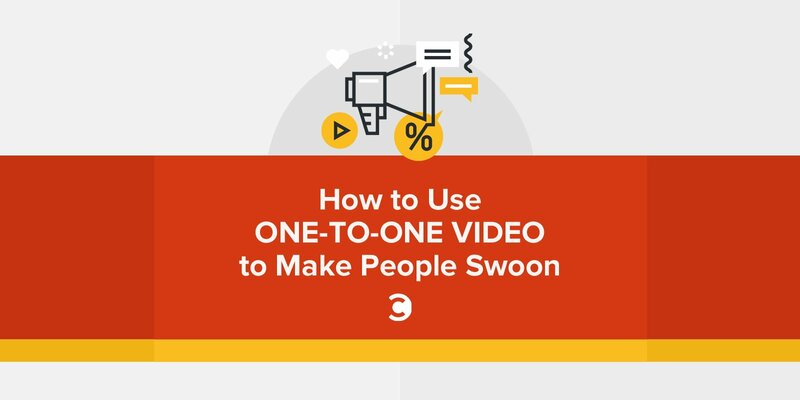 And that’s the power of one to one video.